There’s a popular maxim in Silicon Valley: Find your user base and the revenues will come later. For a while, it seemed to be the easiest way for a founder to explain his or her way out of a proper business model. But with Facebook’s $1 billion acquisition of the entirely revenue-free Instagram, that adage now carries more weight than ever. Enter Viddy and Socialcam, two of the hottest start-up apps, both of which have the buzz of being the “Instagram for video.” The pair have exploded in popularity over the past few months, with each garnering user bases in the tens of millions seemingly overnight. 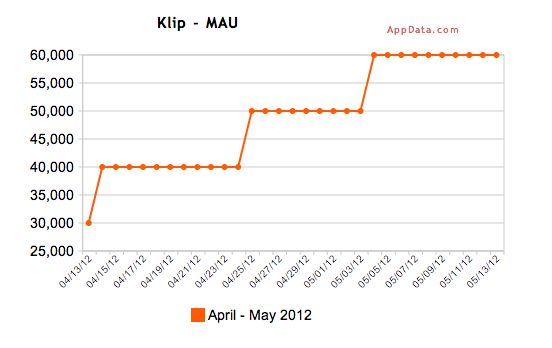 But the growth of one of these apps is not like the other. Using a combination of fortunate timing, Facebook’s Open Graph influence and a new way of playing the system, Socialcam has effectively gamed Facebook, YouTube and the App Store to keep a strong grip on that ever-so-valuable user base. In the short term, at least, the three-man Socialcam start-up team has discovered a method to beat the 20-plus person outfit that is Viddy. The method is so effective that Socialcam skyrocketed from around 1.4 million monthly active Facebook users to a whopping 40 million in a span of little more than two weeks. Socialcam surpassed Viddy in the Facebook app rankings last week, and currently sits fat atop Apple’s powerful App Store as one of the most downloaded free applications. Some have started picking up on Socialcam’s tactics. Threads arose on Quora and Hacker News questioning the validity of the app’s growth, and TheNextWeb picked some of this apart on Thursday. But there’s far more to it. The concept of social video has been simmering for some time. Viddy was founded in December of 2010, while competitors like Mobli, Klip and Socialcam came along at various points during 2011. But it was only over the past few months that the mobile social video concept began to boil. 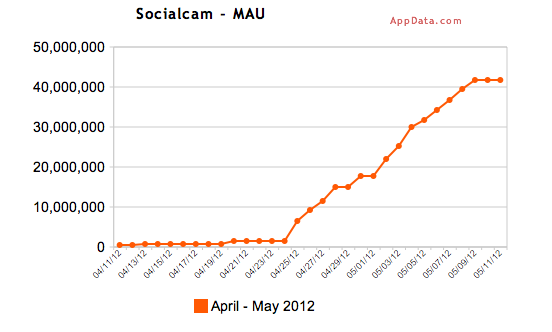 Socialcam hit the three million user mark in December. The Instagram acquisition announcement hit the web on April 9th. Two days later, Viddy hit 4 million users. At some point on April 24, social video apps exploded, and it suddenly became clearer that Viddy and Socialcam were leaving all of their competitors behind. Web view traffic to Socialcam through Facebook skyrocketed from around 10 million monthly active users to an astounding 40 million MAUs over a period of two weeks. 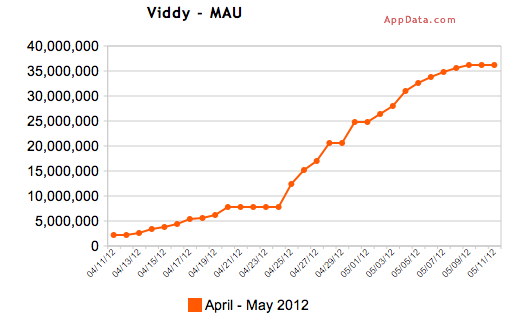 Viddy jumped from around eight million MAUs to upwards of 36 million over that same period. It was as if someone had flipped on the awesome traffic switch. What Happened That Fateful Day in April? What isn’t clear is just who or what flipped that switch. But I’m hearing many different theories. Theory No. 1: Socialcam received its Facebook Open Graph integration around this time, thus increasing the app’s visibility in users’ Timelines. But Viddy’s Open Graph integration had already occurred on March 12, more than a month previously, at South by Southwest, and both apps received immense boosts in traffic during that same time period. It’s possible that Socialcam’s Open Graph jumpstart fueled Viddy’s growth by mere virtue of being another social video app. Or perhaps it was the announcement that Twitter co-founder Biz Stone, Shakira and Jay-Z would back Viddy financially, the news of which occurred two days before Socialcam’s Open Graph integration. Theory No. 2: A more conspiracy-like theory in which Facebook itself made changes to its News Feed in favor of the “Watch” action for social videos on the whole. Consider this: When the once-popular Facebook social reading apps like the Guardian and Washington Post Social Reader recently started tanking in their monthly active user ratings, Ryan Kellett, a Washington Post employee, confirmed to TechCrunch that it was indeed changes in Facebook’s News Feed that led to Social Reader’s decline. 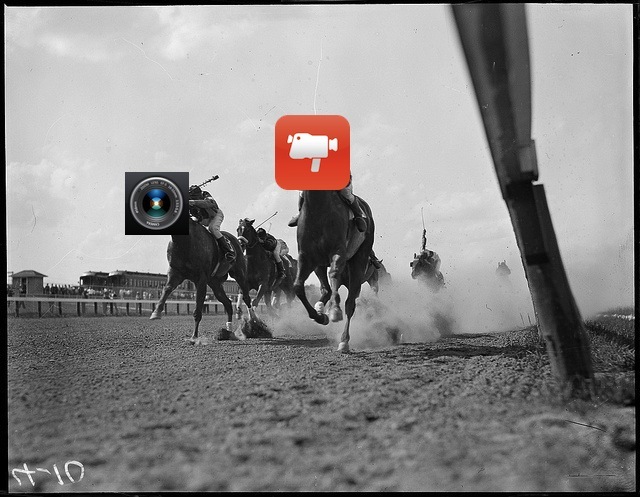 It’s feasible, then, to think that Facebook could tweak things in the other direction, in order to favor video apps. And, indeed, SocialCam, Klip, YouTube, Viddy and DailyMotion all saw spikes in Facebook traffic on April 24 — some more than others — with Mobli’s traffic following suit shortly thereafter. In a tweet on Saturday, TechCrunch writer Josh Constine noted that the sudden burst of growth on April 24 was due to a reporting error from Facebook to third-party app tracking site AppData. That also seems reasonable, although doesn’t fully explain the sudden traffic explosion that occurred over that two- to three-week period. Whatever actually happened, Socialcam saw the chance to seize its moment. After receiving the boost, Socialcam’s founders discovered the perfect way of keeping that veritable fire hose of Facebook Web traffic pouring in. According to multiple sources, it was around this time Socialcam began scraping video content from Vevo and YouTube to add to its own network of users, which essentially amounts to ripping content directly from other services. As you might imagine, it’s not a welcome practice. Then, sources said, Socialcam uploaded that video content to its own servers, where it began distributing it via different dummy accounts on the Socialcam network. There’s a slew of “YouTube Popular” accounts doing much of the distribution, along with others. So, in effect, when a Socialcam user on a mobile device clicked on what he thought was a Socialcam video, he was taken into SocialCam’s Custom player, where the ripped YouTube video was played from Socialcam’s servers. Herein lies the cleverness of the plan: Scraping and ripping stripped each video of its YouTube wrapping, or in the case of Vevo, its pre-roll advertising. 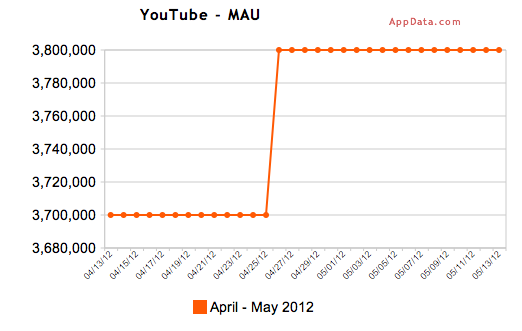 So initially, users weren’t even aware they were watching YouTube videos. Socialcam systematically targeted a number of the most viral videos uploaded YouTube in the past four to five years, said sources, aiming to harness that viral success and bolster Socialcam’s network. Why go to this trouble, especially since it’s against the terms of service to rip off the YouTube APIs? That risks sullying a relationship with a large and powerful online content powerhouse. Embedding the YouTube code within a Socialcam video instead of ripping YouTube’s content would comply with YouTube’s ToS. It’s also potential fodder to get its app booted from Facebook’s platform. “While we don’t comment on individual cases, however, we take any violation of our open API’s Terms of Service seriously and take action against known abusers,” a spokesperson for YouTube told me. Vevo declined my request for comment. But what apparently happened, said sources, was that Socialcam got caught scraping and was told to knock it off. So to continue with its plan but stay compliant with Facebook and YouTube Terms of Service policies, Socialcam then began embedding the YouTube videos into Socialcam posts, effectively doing the same thing as before, only with the YouTube branding in place. 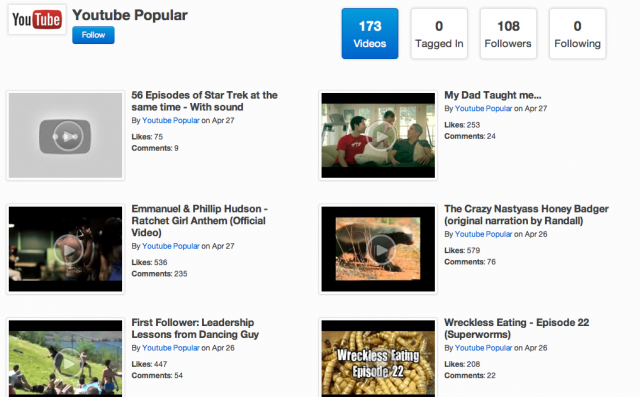 As of last week, nearly every top trending video on Socialcam’s site was a YouTube video. Combine the viral nature of those YouTube videos with Facebook’s traffic-driving Open Graph, and you’ve got a recipe for success. If an app is integrated into Open Graph like Socialcam and Viddy are, using those apps publishes activity to three sections of Facebook: Timeline, Ticker and the News Feed. With every click, each user would broadcast the videos they had just watched, and that traffic fed on itself. Despite the fact that social video on the whole received early initial traffic boosts by some yet-to-be-pinpointed variable, Socialcam was able to retain that traffic through proliferating YouTube videos throughout Facebook. In a way, the guys behind Socialcam are brilliant, cracking a method of using YouTube and Facebook together to extend the app’s reach in a matter of weeks. And it worked: The app still sits atop the App Store, using its Facebook viral success to boost download numbers immensely. It has soared beyond Viddy and other similar apps, most of which have been around much longer than Socialcam has. 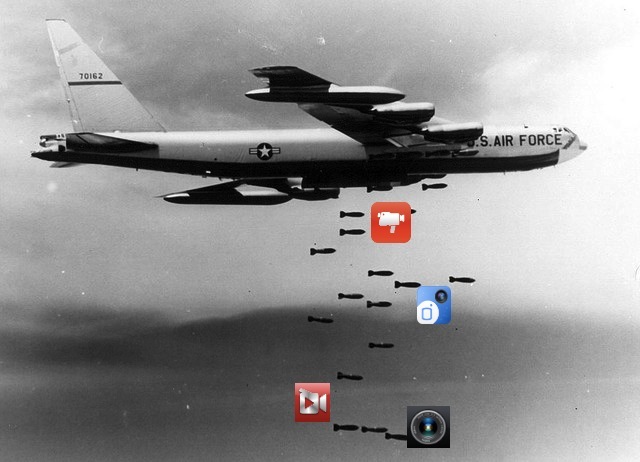 Is All Fair in Apps and War? And here’s the thing: Aside from the alleged initial screen-scraping, doing what Socialcam is currently doing isn’t breaking any rules. Sure, its largest competitor, Viddy, is definitely not a fan of the practice. The company spent the past 18 months building its subscriber base out with user-generated content, not to mention raising tens of millions of dollars in venture funding in order to do so. And Viddy CEO and co-founder Brett O’Brien is making no bones about his discontent. The problem for Viddy is, others are catching on. Of the top 10 fastest growing Facebook apps from the past week, half of them are social video apps. Most recently, Chill gained more than eight million users in as little as two weeks. All but Viddy use a mix of content, both user-generated and user-curated — although Socialcam still remains the most adept at working the larger ecosystem. It seems, however, that in light of the recent negative press Socialcam has received, the company decided to tweak its app on Tuesday afternoon, incorporating a handful of subtle changes. YouTube videos are now labeled much more explicitly. A bug which kept users auto-sharing their videos to their feeds — whether they turned the option on or off — has been fixed. And now Socialcam’s “Trending Bar” — the one replete with YouTube videos — is gone from the site. Still, as the social apps using these methods proliferate, it’ll only get harder for non-viral videos to rise to the top. According to one source, Facebook’s News Feed only allows for a certain percentage of its inventory devoted to video. The algorithm that determines which videos make it into that inventory is based on click-through rate, as well as the number of comments, likes and shares it received. Still, click-through rate weighs heavy on that scale. In that case, it’s obvious that when Socialcam — and apps like it — seed Facebook with the most viral YouTube apps of all time, click-through rates and shares will skyrocket, and those apps will take a much larger portion of the video News Feed pie. The question, then, becomes a philosophical one: Is it fair? 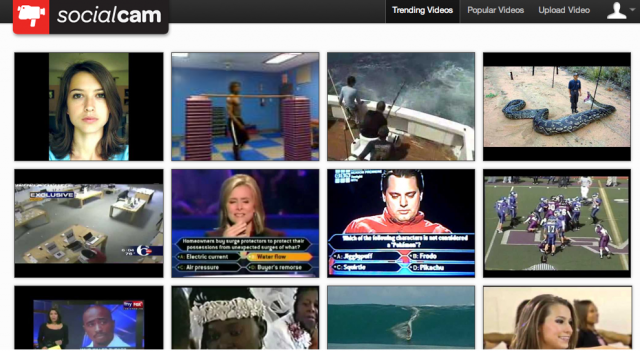 Since Socialcam essentially cracked the video sharing code, does it not deserve its seat at the top of the charts? But, if all that is being watched are the most viral videos Socialcam has seeded, are users not just watching what Socialcam directs them to? The war isn’t over. Perhaps Facebook will tweak its algorithm to compensate for the types of videos. Or perhaps Socialcam and others like it will ride to the top on YouTube videos, then see an influx of user-generated content after reaching a critical mass of subscribers. And again, like that old Valley adage goes — it’s all about the user base, right?